Let us simplify your Bay Area move with guaranteed flat-rate pricing, free in-home moving quotes, and customer-first care. For over a decade, families throughout the Bay Area have gotten the five-star residential moving experience they deserved by trusting Upline Moving. Our family-owned business treats all of our clients with a uniquely personalized approach that guarantees efficiency, affordability, and top-notch care. Whereas many residential movers in the Bay Area would look at your household as a collection of things, we instead focus on the people behind them. Whether it’s your great-grandmother’s antique vanity or your child’s favorite kitchen playset, we’ll make sure your belongings remain safe and secure from door to door! At Upline Moving, we strive to exceed our clients’ expectations no matter how far they have to move. From simple local moves here in San Francisco to cross country journeys, our Bay Area professional movers provide the same simple process that puts your interests first. We offer guaranteed flat-rate pricing and in-home moving cost estimates, and we always work off a detailed list of items rather than by weight. These innovative strategies ensure the best prices for you without compromising on quality. If you’d like to enjoy the most hands-off moving experience possible, a full service move from Upline Moving is without a doubt the way to go. These all-inclusive moving packages cover everything from move planning and packing services to transportation, delivery, set-up, and household storage. We have such a wide variety of specially trained teams—including art movers, senior movers, and apartment movers—that all you have to do is describe your needs, tell us your preferred moving date, and sit back and relax as we take care of it all! Expert Household Movers, Even at the Last Minute! Short on time? Even if your household moving date is just weeks away, Upline Moving would love to help out! 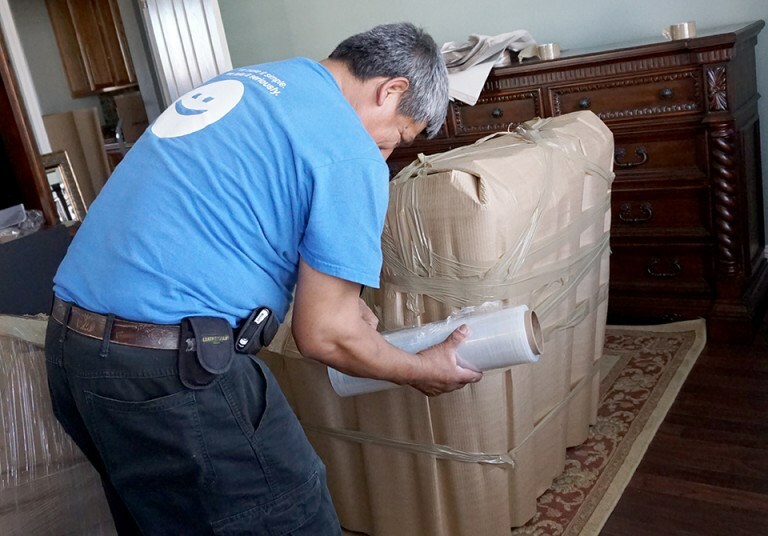 Our staff of last minute movers knows how to properly approach even the most pressing moving projects, focusing on meeting your needs for an affordable price. Because our Bay Area residential movers provide customized moving strategies, we can eliminate all the “fluff” to save on time while still delivering the exact level of service you require. When you need expert residential movers across any distance, you can rely on Upline Moving. We’re consistently voted the “Best of San Francisco,” and more than 70% of our customers come back to us for their next move! Learn more about our Bay Area household movers and grab your free in-home quote by calling or completing our quick online form today.